This is the only townhome available in desirable Dancing Willows! 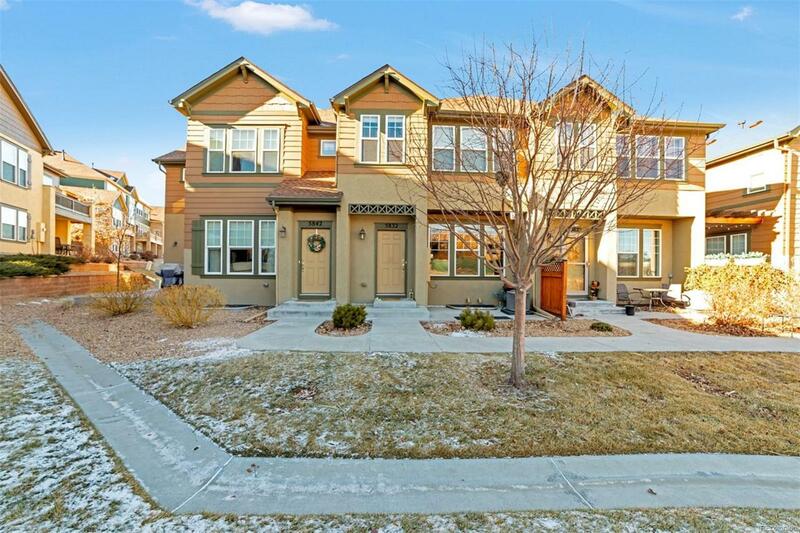 Such a great location...close to shopping, easy access to C-470, schools, restaurants. With this awesome, open floor plan you can entertain with your guests sitting by the cozy fireplace while cooking in this amazing gourmet kitchen. Wait until you see the beautiful slab granite center island along with gorgeous cabinets and stainless steel appliances. This home is in pristine condition and has been very well maintained by loving owners. The loft area on the second floor boasts floor-to-ceiling built-in shelving that can be used as an office area or a quiet sitting space. You will love the master suite with vaulted ceilings, walk-in closet, 5-pc master bath with windows that allow the natural light in. The full size unfinished basement is waiting for you to make it your own. Dancing Willows offers a pool, jacuzzi, club house, walking trails, and well kept landscaping you don't have to do yourself. This could be yours!